Video games make you more creative!, says the research by scholars. ~ Engineering projects ideas for final year students & paper presentations collection blog. Video games make you more creative!, says the research by scholars. Good news to all the parents who are worried about their ‘video game playing’ kids. According to a new research by Michigan State University scholars, kids who play video games regardless of their level of violence tend to be more creative. The study, which included observing nearly 500 12-year-olds stated that the more kids played video games, the more creative they were in tasks such as drawing pictures and writing stories. In contrast, use of cell phones, the Internet and computers (other than for video games) was unrelated to creativity, the study found. Linda Jackson, professor of psychology and lead researcher on the project, said the study appears to be the first evidence-based demonstration of a relationship between technology use and creativity. About 72 percent of U.S. households play video or computer games, according to the Entertainment Software Association. The MSU findings should motivate game designers to identify the aspects of video game activity that are responsible for the creative effects, Jackson said. "Once they do that, video games can be designed to optimize the development of creativity while retaining their entertainment values such that a new generation of video games will blur the distinction between education and entertainment," Jackson said. Nearly 491 middle school students were surveyed as a part of MSU’s Children and Technology Project, which is funded by the National Science Foundation. The survey evaluated how often the students used different forms of technology and gauged their creativity with the widely used Torrance Test of Creativity-Figural. The Torrance test involved tasks such as drawing an "interesting and exciting" picture from a curved shape, giving the picture a title and then writing a story about it. The research helped in arriving at another result which stated that boys play more video games than girls and further emphasized on the type of games they prefer. For example, boys were enthusiastic about games of violence and sports while girls liked games involving interaction with others (human or nonhuman). 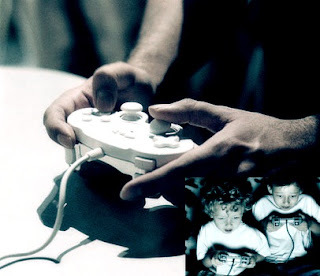 Yet irrespective of gender, the research found that the habit of playing video games was related to greater creativity.